We will optimize your website and get you ranking high on the search engines, giving you more visibility. Whatever your budget is, we are willing to help you realise your goals. We have helped law firms rank over the years and we know exactly what it takes to achieve first page rankings in search. Find out how we can help your firm crush the competition. Why Should You Work With Epyk Digital? We are Epyk Digital, your #1 stop for SEO Johannesburg. We are a Johannesburg SEO Agency and we are excited to see you on this page. You probably landed on this page because you searched for best SEO companies in Johannesburg, SEO company Johannesburg, Johannesburg SEO, SEO services Johannesburg or even Joburg SEO. This is how we get found online, and you found us because we are ranking on Google for our target keywords. SEO related keywords are pretty competitive in South Africa, and the fact that we are ranking higher than other SEO companies for SEO keywords in Johannesburg should prove to you that your business is in good hands. Epyk Digital ranking for Johannesburg SEO keywords is great indicator for what we can do for your business. 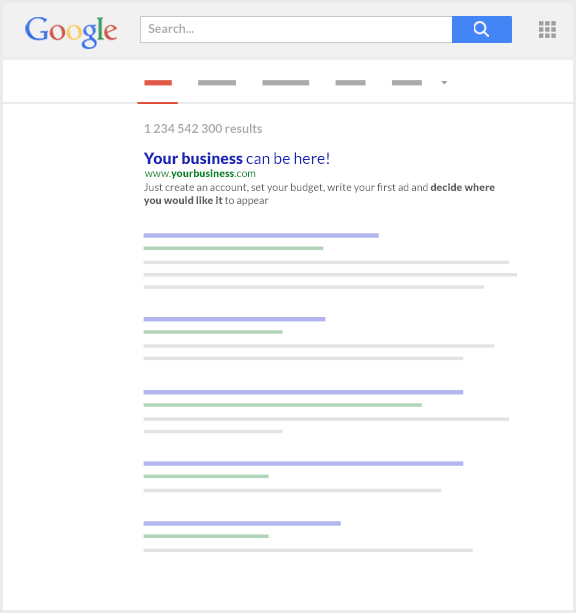 We get businesses ranking on the first page of Google. . . get in touch with us today. Take a look at some of our work that we have done for great clients and brands in the past. From web design, to seo to influencer marketing, take a look at our footprints. Epyk Digital helped get my dermatologist practice online, they designed my site and got us the exposure that we needed online. Epyk Digital sorted out my website, completely integrated with my social media profiles. They monitor my progress on a monthly basis, and I love the progress the business is making. Hire a Johannesburg SEO Specialist today. If you are a business owner and you are running a business that you are hoping will turn a profit, then you need to know that after you decide what your service or products will be, you will need a website that is decent, that is easy to navigate and that will tell your prospective clients what your business is about and what you are offering. Once you have a great website that is built according to Google’s best practices, then you are going to need search engine optimization (SEO) to make sure that your website is found on google. Having a great site that is buried under page 2 or 3 or 4 is not good for business, you need a website that will rank on page 1 of google, so you can increase your leads and sales. SEO is complex, our SEO servicess are designed to make sure that you rank and that you stay on the right side of google. We stay abreast of all google updates and algorithm changes, so that you can focus on your business. Websites that are optimised using grey hat and black hat techniques are in risk of being penalised by google, that is why it is important to choose an SEO Company in Johannesburg that knows google’s best practices and lives by them. Penalties are horrible when they are imposed, and it impacts negatively on your business. What makes it worse is that it can take a very long time to get your website in good standing again. For this reason, it is very important to source out and research good seo companies in Johannesburg, so that you are able to identify the ones that will impact your business in a positive way. Finding seo experts to work with is crucial, that is because most SEO companies will lock you in a yearly contract, so once you sign a contract, it may be very difficult to get out of. Whether you do your research online or you feel the importance to visit them at their premises, that is what you must do. We truly believe in getting results for our clients, there is just nothing as important as that. We will never lock you in a 12 month contract, our "contracts start from 3 months, which is enough time to us to show you that we know what we are doing. The very first thing that we do when you get on board, is for us start with the basic things, like Google My Business. For you to enjoy good SEO services that will benefit your business, it starts with getting the right Johannesburg seo company to work with. SEO can be complicated, and you need a company that has the know-how to take your company to the next level and increase your ROI. With a great site design and great seo services, your business and company will be in the fore front of your industry. When you rank on the first page of google, your potential clients will find you, and this will increase your leads and sales. You need to make sure that those who are searching for your services and products in Johannesburg can find you, and this is a result of the company that you choose to work with. Being on page one of google will result in more leads and sales. Research has proven that a majority of the people do a search online first before they purchase services or products, so it is important that you get found. If you are running an online business, and the person who is looking for what you are offering online lands on your site, if your website addresses their pain points, chances are that they will buy from you. It is a fact that more and more people use mobile phones to access the internet and search for what they are looking for, and if you are not on that first page, your competition is getting all those leads. A good SEO company will make sure that your website is well built and mobile friendly, because that makes it easy to get found by your target audience. SEO can be complex as it changes all the time, so it’s important to work with Johannesburg SEO specialist to make sure that your website adheres to googles best practices. When googles rules are broken, and black hat techniques are used to rank websites, google can impose certain penalties on the sites. That’s why you need a good SEO service provider to make sure that you avoid Google’s penalties. A google penalty is the last thing that you want as a business owner, as not only will you lose rankings if you get hit by a penalty, but google can take your website completely off their index. Stop getting beaten by your competition, start ranking with Johannesburg SEO. We offer SEO Services in Johannesburg, including these areas: Sandton, Fourways, Randburg, Roodepoort, Bryanston, Sunninghill, Kyalami, Midrand, East Rand, Alberton, Germiston, Rivonia, Bedfordview and much more.